Wow! 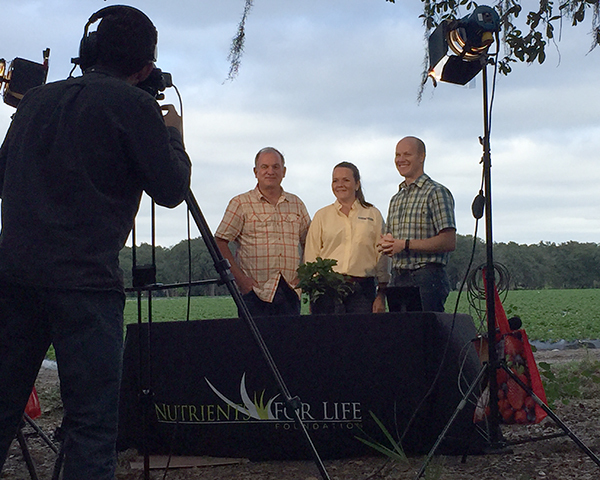 Over 54,000 students joined us in December for our Live from the Farm: From Soil to Store virtual field trip event! If you were one of them, thank you for tuning in. Many of you submitted great questions for our host via the website and our Twitter! 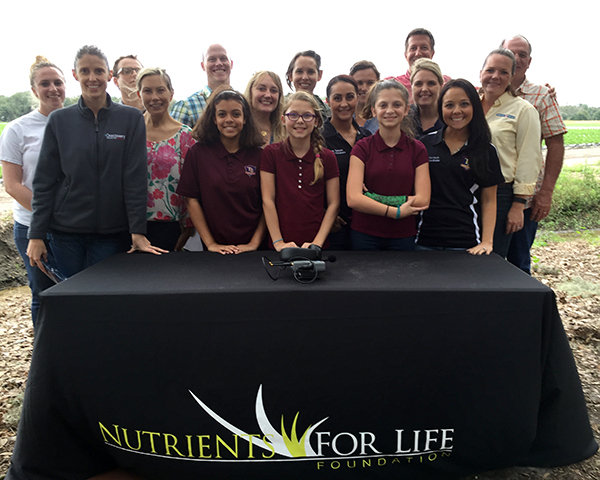 If your question wasn’t answered, please tweet us or email info@nutrientsforlife.org and we will get back to you with an answer. If you didn’t get a chance to join us live, the archived version is available now on our Discovery Education partnership website here. Each section of the event is available individually. The 45 minute event is a fantastic supplement to any classroom learning about biology, chemistry, soil, agriculture, land use, or fruit. 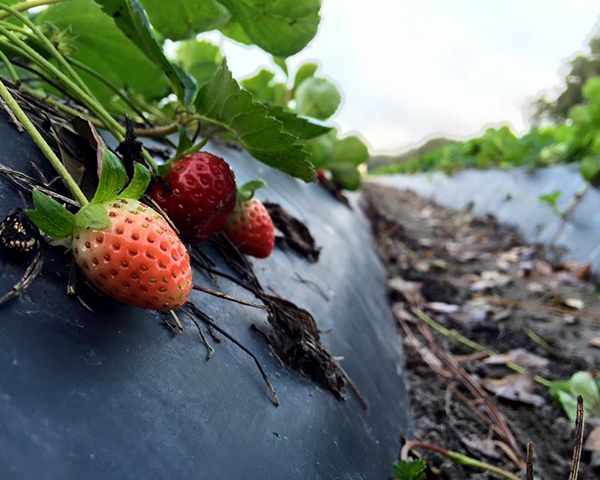 Students get a real world look into the science behind how produce, like strawberries and jalapenos are grown and harvested, and how they go from soil to your store. We had such a great time creating this event we thought we’d give you a quick look behind the scenes… (All photos were taken with team members’ iPhones). 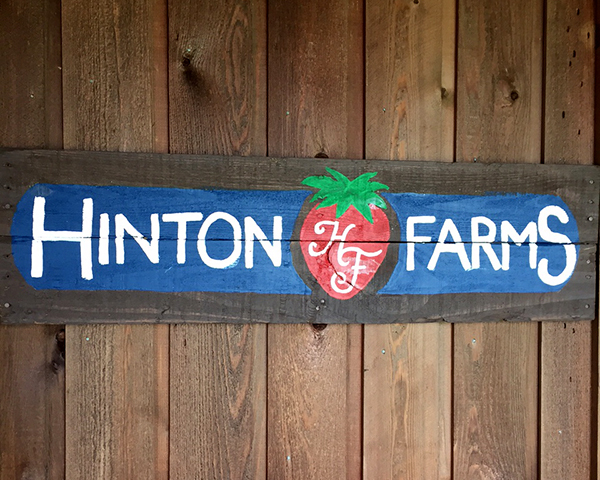 The making of the event began this fall when the Hinton family of Hinton Farms in Dover, Flo. jumped at the chance to join us on this project. They expressed their eagerness to share their farm with students everywhere and we knew we’d found a great group to work with. As we learned more about them, we discovered that Bob (father), Melissa (daughter), and Jake (son-in-law) were all previous state FFA officers! We love working with FFA members so it was a great match. If you watched the field trip, you saw how proud they are of their farm and feeding the world. They feel it’s their duty to be transparent and educate the public on how their farm operates. We knew we wanted to highlight the importance of nutrients and the fascinating fertigation system. After weeks of editing, we had a great final outline for the event. 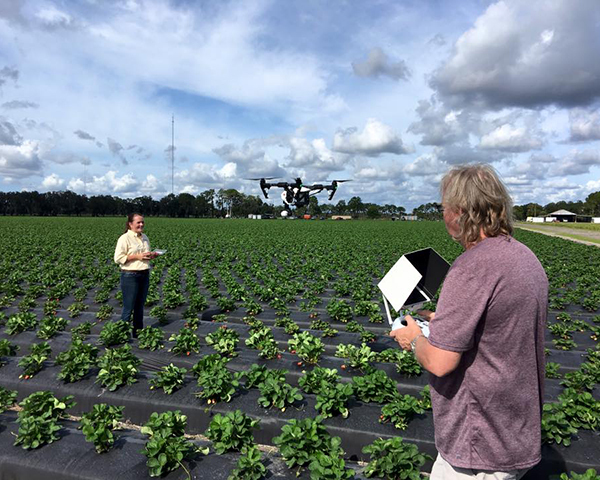 The week of the event, the Nutrients for Life team and Discovery Education team flew down to Florida and real fun began! Hot and humid Florida greeted us as soon as we stepped off the plane. Quite a weather change from our home office in Washington, D.C.! 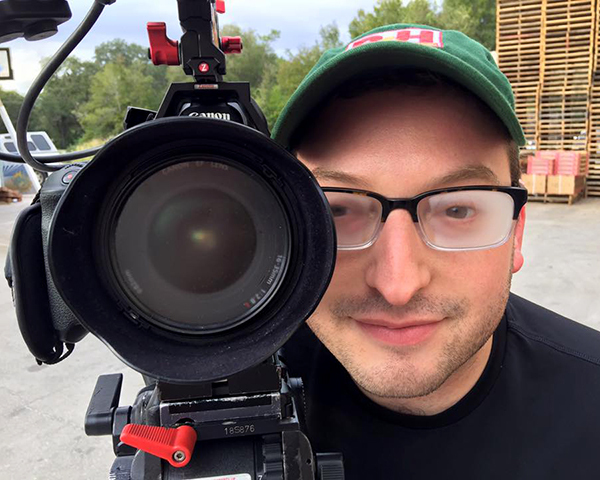 In order to have a smooth event, certain pieces of the field trip (such as introductions and short clips, called vignettes) were filmed and edited during the days leading up to the live event. Melissa got up close and personal with a drone for her introduction! 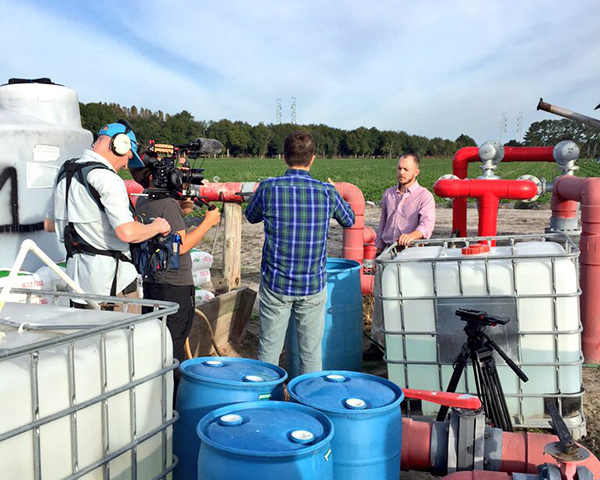 Jerrod rehearses how he is going to explain the fertigation system with Discovery team members. 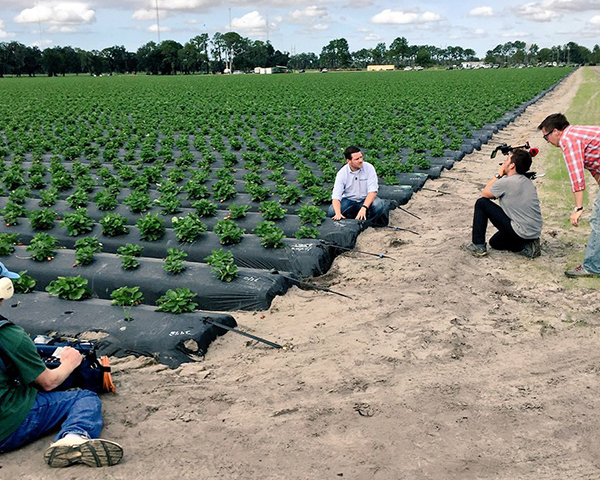 Here Jake is filming his short piece about how strawberries are grown and the fertigation tubes deliver nutrients to the plants. The team will really do anything for the best shot! 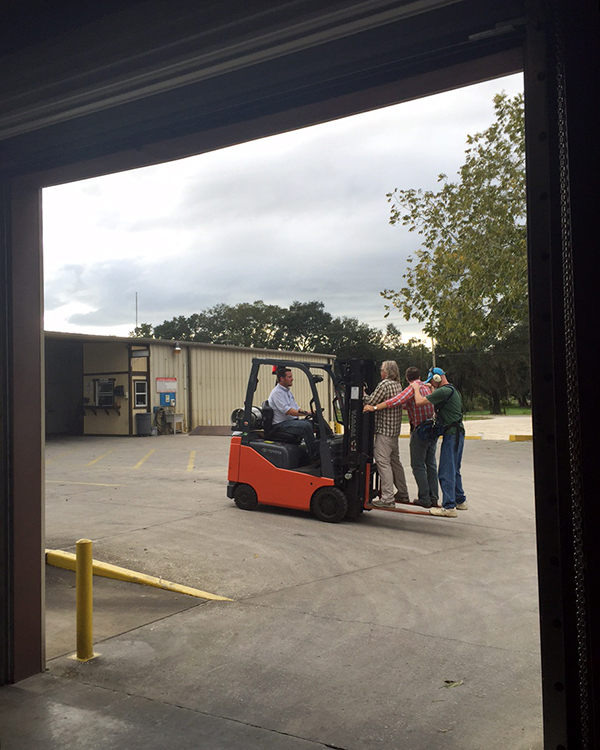 Jake introduces himself while driving (very slowly) with the camera and sound men on the forks of the forklift. 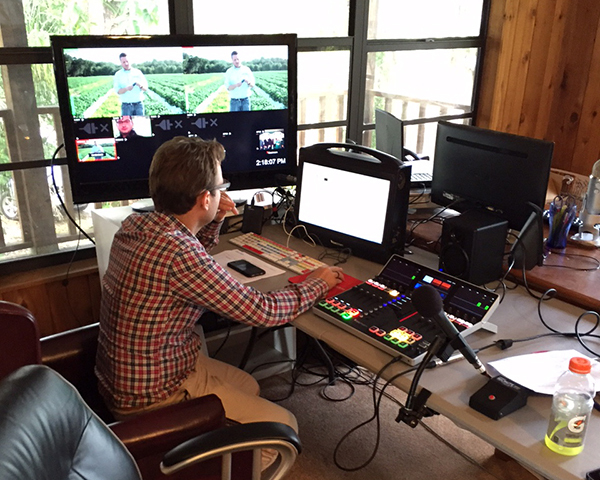 An impressive makeshift video studio serves as headquarters for editing footage in the days leading up to the event. 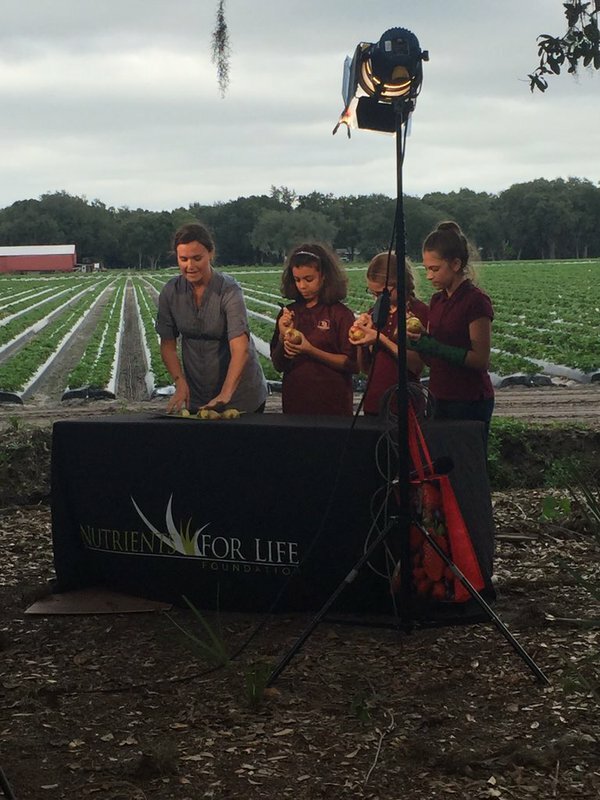 Three students from Turner/Bartels K-8 school in Tampa joined us for the demonstration portion of the field trip. They discovered what percentage of land is used for agriculture by dividing an apple into fractions. With barely any rehearsal these young ladies nailed their VFT debut! A huge thank you goes out to them. From our team, the Discovery Education team, and Hinton Farms, thank you for joining us on this soil science field trip adventure! Be sure to check out more resources from From the Ground Up: The Science of Soil and Nutrients for Life.